Straight from the lab at Holleyweb comes a brand new take on the tent that’ll leave you speechless. 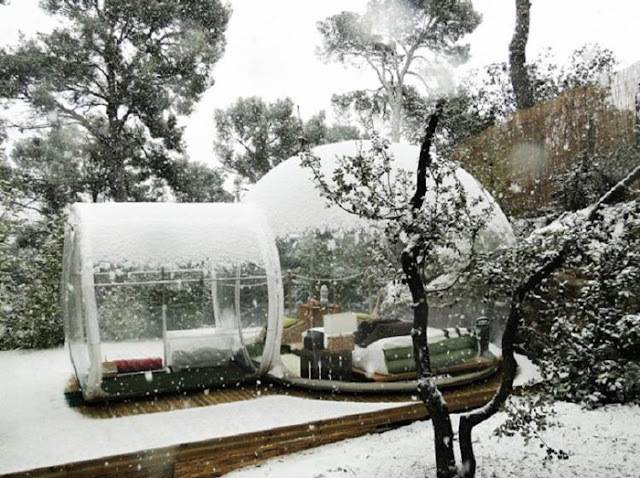 Have you ever dreamed of sleeping beneath the stars in a snowstorm? 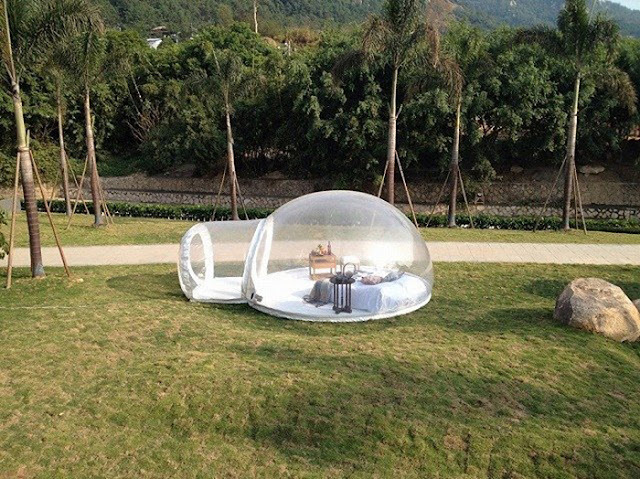 Then this tent is for you! 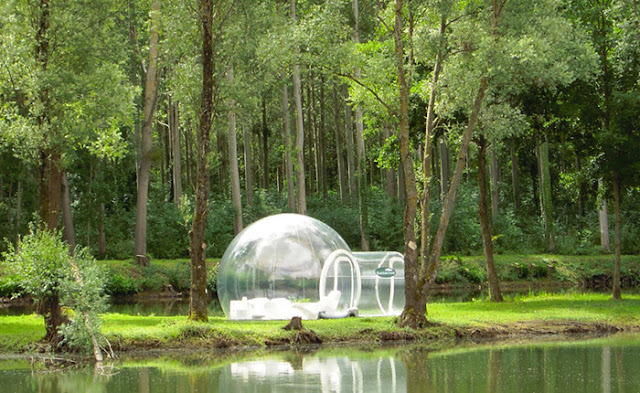 Waterproof and fully inflatable, the Holleyweb Bubble Tent is a miracle of modern engineering. 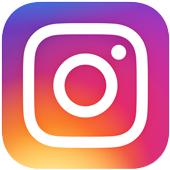 From the creators of the Human Sized Hamster Ball (a.k.a. 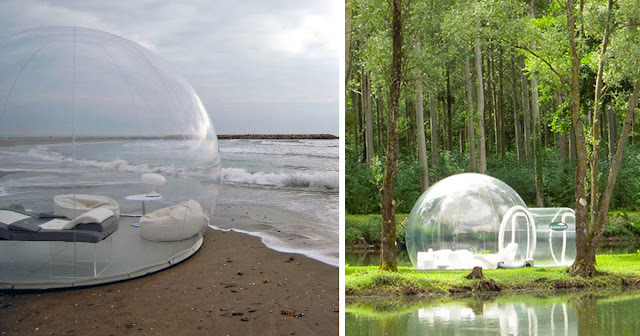 the Zorb), the Bubble Tent is made entirely of PVC pipe and tarp and is entirely flame-retardant — so no need to worry about that campfire! 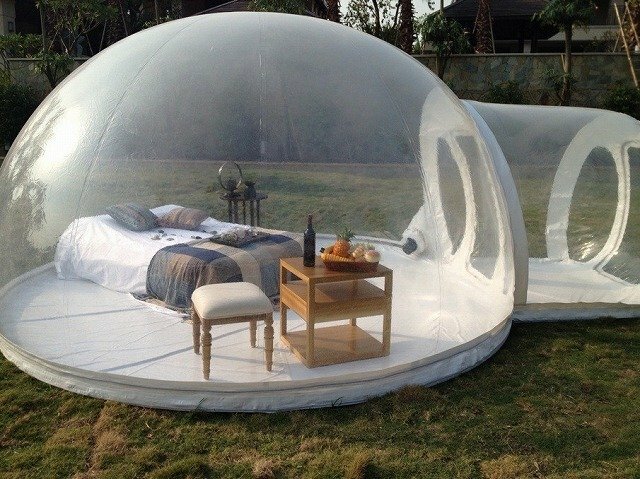 Capable of housing two people, it’s perfect for cozying up next to a special someone, falling asleep to the sight of the stars. One catch: the tent only works so long as you can keep it connected to the (included) pump. You’re going to have to keep that extension cord handy if you want to get far from the house, or even a generator if you’re feeling really adventurous. 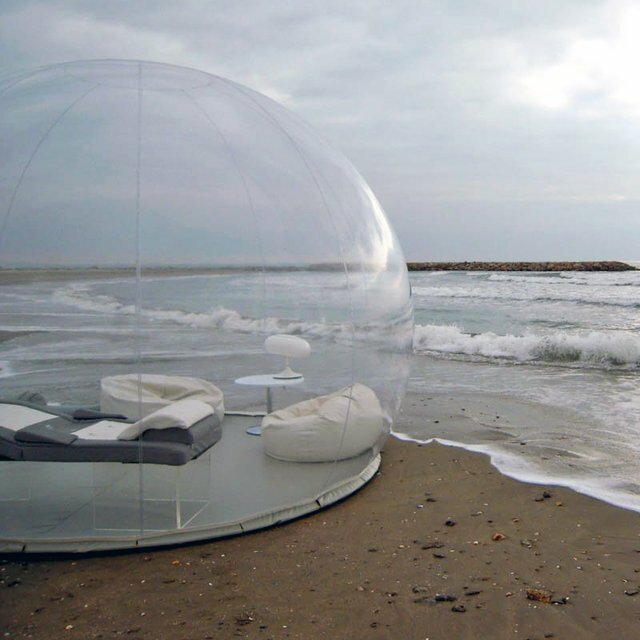 One more catch: the tent costs 2000 dollars. But something tells us anyone who buys it will make sure they get their money’s worth. You can purchase it at The Fancy.